Are you a big fan of Football? Especially league Football matches that are followed religiously across the globe? Do you feel excited about the new Football league seasons starting soon? Having trouble in deciding how to watch all of these major football league matches, especially those happening in UK in 2018? Read this detailed guide from Best VPN! In addition to subscribing to the official broadcasters in the US and UK, we present a number of useful options for watching the upcoming, major league football matches live. This means, you can feel assured not to miss out on your favorite game, especially if you cannot make it to the stadium (due to being located too far away). Nothing can beat the excitement of watching football, sitting in a stadium surrounded by the cheering, singing, and chanting of the crowd. As the star striker moves forward with the ball and prepares to unleash his shot, you can hear the intense breathing of thousands of fans waiting in anticipation. In this split second, as the ball sails to the other player, not a single sound is audible. However, after all the players start moving in motion, the exhalation of excitement is purely ecstatic! Things get even more gut-wrenching as the ball sails wide for a goal. Where some start closing their eyes in fear of the opposing team scoring, others have that adrenaline-fueled heart-pounding excitement of their team scoring. It is the countless moments like these, that makes football so exciting, and this especially goes true with League Football! Every match brings forth those primal emotions of joy, disappointment, rage, and frustration. There is also that unpredictability of the game-changing in seconds! Watch all football leagues in China as well by using best vpn for China. NBC and NBCSN have major broadcasting rights for many football leagues from around the world. And these two channels are all the more important because they serve US customers. You can watch the live telecast on weekends on TV or tune into the NBC & NBCSN websites to enjoy high-speed HD streaming on all your online devices. You can even consider downloading NBC’s mobile streaming app to watch major league matches from UK directly on your mobile/tablet devices anywhere in the US. Simply log in to your account to watch all football matches, without advertisements ruining the fun. In circumstances, your region does not offer a service to watch the upcoming, major football matches from the UK live online, you can always work around geo-restrictions and watch the season using the Best VPN service. For instance, you can connect to a US server and watch live EPL matches and highlights via NBC and NBCSN from anywhere in the world. Here is a list of the best VPN providers for each channel that you want to unblock in our list above. The above NBC option should work for most users in the USA. However, if you are looking for a solution that offers you more variety in the content available to you, then we have added a few extra options for you to enjoy. Football fans around the world can also use these solutions by subscribing to a cheap VPN service, and connecting to a server in the US. Sling TV is the preferred choice for many, who want to gain access to Live TV channels. It offers a variety of networks including ESPN, which will be providing live streams of the Premier League from 11 August 2018 to 12 May 2019. You have three plans available: Sling Orange, Sling Blue, and Sling Orange + Blue. Select any to gain access to a huge list of channels. You can leverage the 7-day free trial for testing out the service to see if it meets all your sports streaming needs, apart from the EPL. 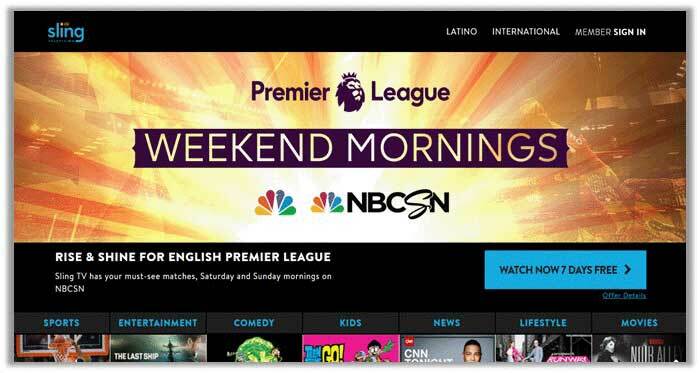 Similar to Sling TV, the famous DIRECTV Now is a VoD service that gives access to live channels from around the US, including ESPN, CBC, Fox, and more, all of which will be providing you streams for the EPL 2018-19. Pricing starts at $35 per month, but there is a special deal going on that can reduce the pricing to $10 monthly by using the code “YESNOW3”. You can even take advantage of the 7-day free trial to see if you can receive access to your favorite live shows, in addition to the EPL. Hulu is another VoD service, which offers a massive library of content from around the world, including movies/TV shows, news, and live sports. You can gain complete access to the service by paying just $39.99 per month. Similar to DIRECTV Now and Sling TV, you can even leverage a 7-day trial to test drive the service. However, it is guaranteed that there will be live streams of the English Premier League 2018-19 available on Hulu, so you can leave all the worries aside. Optus has officially signed an agreement that gives them the rights to stream the English Premier League 2018-19 for 3 more years. As such, you can feel relieved to find working streams of all 380 EPL matches of the current 27th season on the VoD service. The service will also provide you the latest in statistics, fixtures, results, and news on the main website or the Optus Sports mobile app. If you are not already a customer, a Optus Sports Members will set you back $15 per month. If you want to enjoy the best football experience for the EPL 2018-19, then there is no better way to meet up with your friends, and head to a local pub/bar streaming the matches on a regular basis. 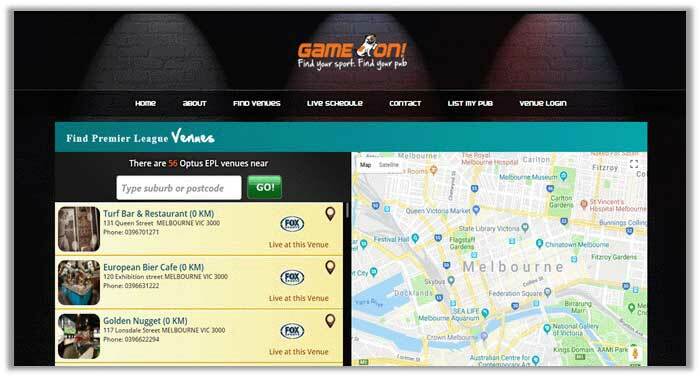 To help users out in search for a pub showing the game, you can rely on Game On Live Sports. It gives the complete schedule and list of avenues for watching the English Premier League. Pick one close to your locality and enjoy watching Football with your friends/family members! If the above option does not work, you can always rely on HotStar Premium to provide streams of the English Premier League 2018-19 online, with all 380 matches broadcasted to your smart TV, Apple TV, Chromecast, mobile and PC devices. 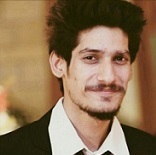 The service is subscription based and geo-restricted for viewers outside the sub-continent. 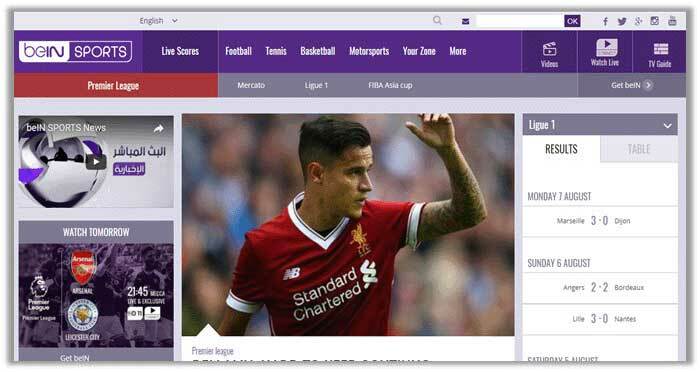 However, users in Australia can connect to a server in India to gain instant and hassle-free access to all live streams of the 27th Season EPL. As mentioned earlier, you can easily watch all matches of the EPL via Hotstar. However, the real question is: how do you get a Hotstar EPL subscription? Let us inform that the process is incredibly easy and does not require any rocket science. Simply click on this link, tap on the “Sign in” option, and then select “Sign Up”. You can either sign up with Facebook or enter your full name, email address, password, and age separately for an account. Once done, you can get the “All Sports” package for as low as $4.34! Wait for a Sec: Read our 3 min “how to watch hotstar” Guide for the coming new shows and much more. Note: Service mentioned below provide HD Streams of EPL 2018 but can be region-restricted, we recommend you to use a VPN service to Stream EPL anywhere in the world on any device! Sky TV offers a dedicated online streaming package for cord cutters & streaming fans. You can now watch all 7 Sky Sports channels live when you sign up with NOW TV. The service gives you an all-access pass to Sky TV’s sports channels plus allows you to stream from anywhere in the UK on 2 devices simultaneously. NOW TV’s special Sky Sports bundle is available on NOW TV box, Xbox, PlayStation 3 & 4, smartphones, tablets, desktops & laptops, iOS devices, Macs, ROKU, Chromecast and LG Smart TVs. Sky Sports and all its channels are geo-restricted for viewers outside the UK. 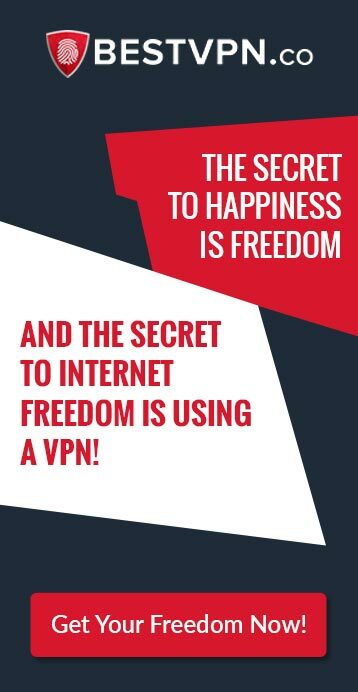 Use the high-speed streaming ExpressVPN or PureVPN to unblock the service. beIN Sports is possibly the most amazing streaming service now available in North America, Middle East, South East Asia and Australia. 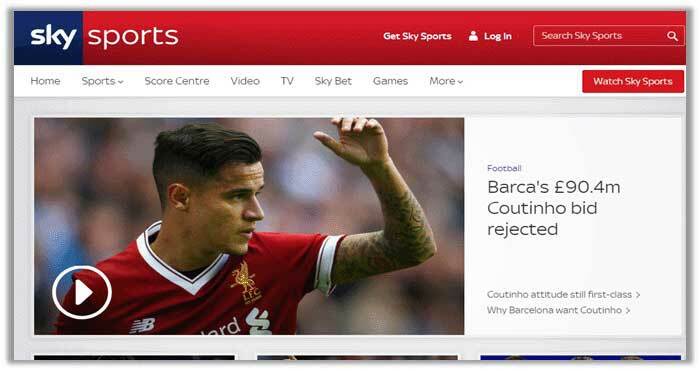 It boasts a global network of sports channels owned and operated by its parent company, the beIN Media Group. Its bundle offers compatibility with smartphones/table if you are using the app. Desktops and laptop users can stream directly from the website. Super Sport is an African premium sports broadcaster and streaming provide. It is the top choice for football fanatics in Sub Saharan Africa, North Africa, and West Africa to watch EPL season 2018 online. 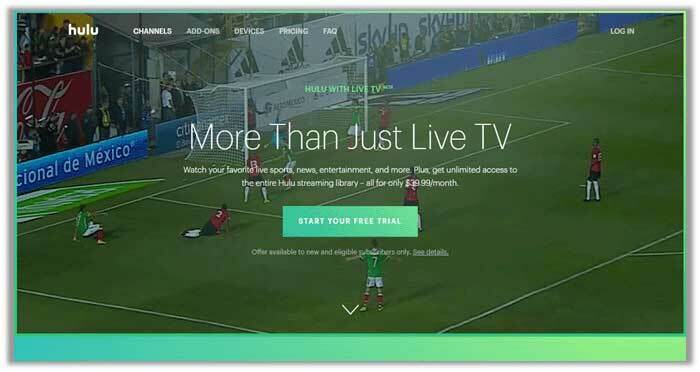 The service is subscription based; requiring users to have TV cable subscription to watch matches live. If you are not already aware, Star Sports does not have a dedicated website. It is a renowned network of sports channels owned by the infamous Star India, which is a subsidiary of the 21st Century Fox. 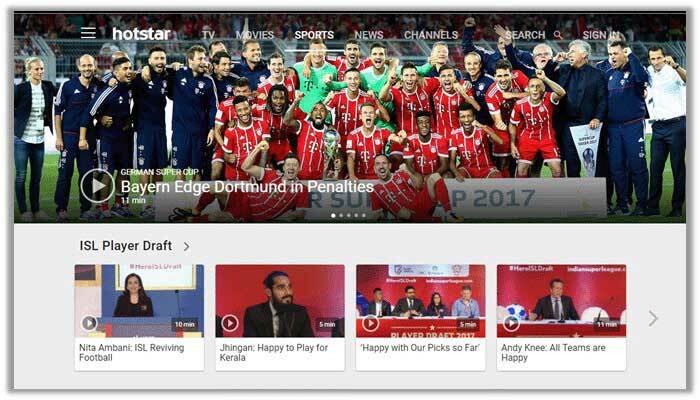 As a result, while you may not be able to use the service for streaming the EPL live online; those who rely on cable can watch all matches via Star Sports Select 1 and Star Sports Select 1 HD on their televisions. To watch the highlights of the game, switch to Star Sports Select 2 and Star Sports Select 2 HD. Since YouTube is incredibly vigilant about copyright infringement and the official broadcaster rights of EPL belong to Sky Sports, it is quite difficult for football fans to find a working streaming link for the English Premier League (EPL) 2018. You may find a few websites/pages that may send you to a YouTube channel. While some of them may work, others will just keep you roaming on other domains. We would advise that you opt to use the above more reliant options mentioned above! Note: If you face no stream or check log error you will need a VPN to unblock streams to enjoy the game live online! Launch Kodi Krypton V17 and on the top right corner click the “Gear” icon. Select “File Manager” in the bottom right corner of the menu. Scroll down from the left menu and open “Add Source”. Give the media source a name. For instance, “Lazy Kodi”. Go back to the main Kodi menu and click on “Add-ons”. Hit the “Package” symbol to begin the installation process. Select “Install from zip file” and find the “Lazy Kodi” media source. Choose “REPOSITORIES” and tap on “ANDROIDABA”. Select “Repository” and click on “repository.kodil-1.4.zip”. Wait a few minutes for the “Add-on Installed” notification. Return to the previous menu and click on “Install from Repository”. Select “..Kodil Repository” and open the “Video Add-ons” list. Go the “search” tab, type in “cCloud TV”, and hit the install button. Return to the add-ons menu and launch cCloud TV. 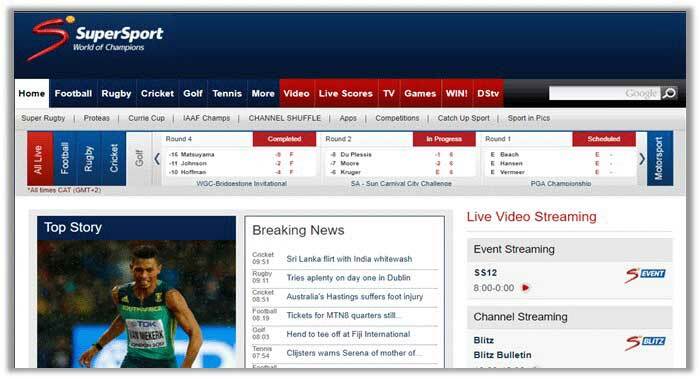 Click on the “Sports” option to gain access to all live sports channels. 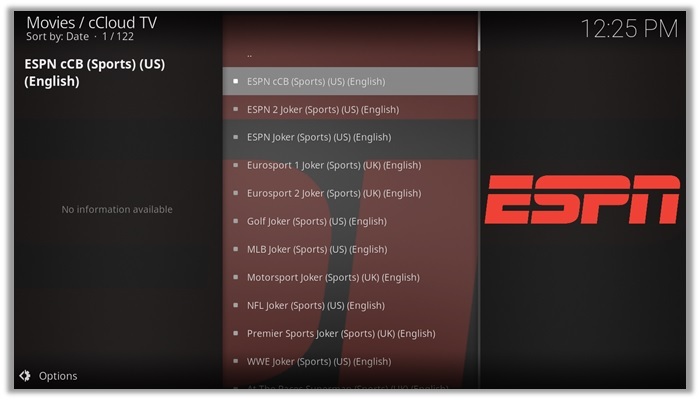 Select ESPN or any other broadcaster from the list above to enjoy Football streaming right away! 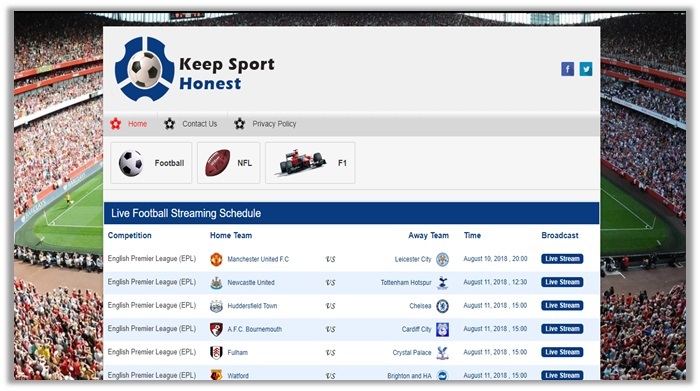 If you are in search for a reliable website that offers HD live streams of the English Premier League (EPL), then you might want to consider checking out Keep Sport Honest. The site provides streams for all matches on a daily basis, as you can see from the screenshot below. Simply click on the “Live Stream” button to begin watching the match between your favorite teams. Apart from EPL, Keep Sport Honest even offers the ability to stream all live events related to F1 Racing and National Football League (NFL). 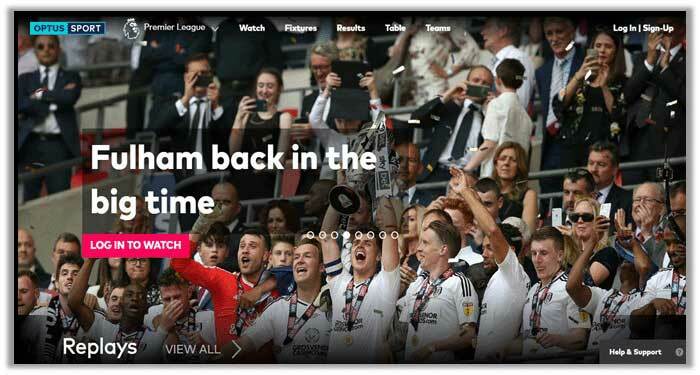 Another great option for streaming the English Premier League (EPL) online is Livefootballol. As the name implies, the website is dedicated to providing all the information, news, and fixtures/results regarding the latest Football events. 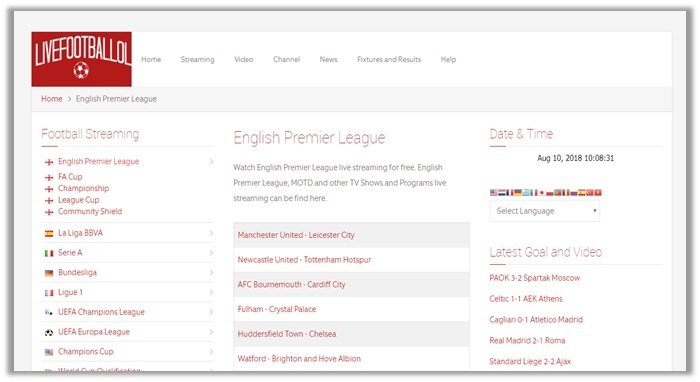 It provides users with info on the channels to stream the EPL worldwide, along with direct streaming links for different matches between your favorite teams. You can even watch Serie A, Bundesliga, Ligue 1, UEFA Champions League, UEFA Europa League, and more via the website! When it comes to watching the EPL live online, especially FREE, you need to have a multitude of options available. 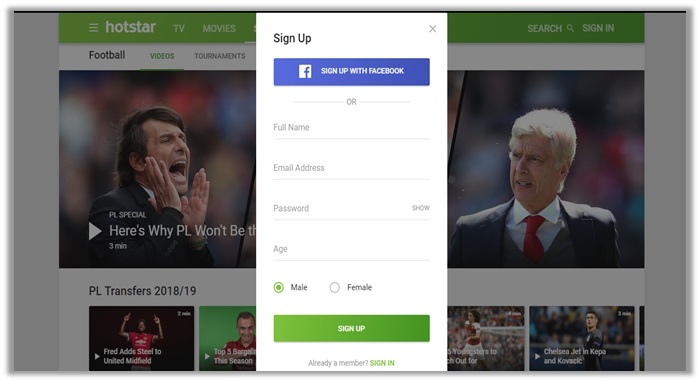 Though the above websites/services are guaranteed to work and provide streams of the EPL, without paying a single penny, you should also check out Neolive.info. The website is quite simplistic and its main purpose is to provide HD streams to all events relating to Football, particularly the EPL. Click here on the day of the match to begin watching! Now that you are familiar with the websites mentioned above, watching EPL online hopefully will not be a problem. Regardless, if you face any issues, do not hesitate on reaching out to us. Also, feel free to share the article with your friends/family members, who are football fans. Lastly, who do you think is going to win each match? Share in the comments below. The best is BCE Premium TV. We are using it for a long time. 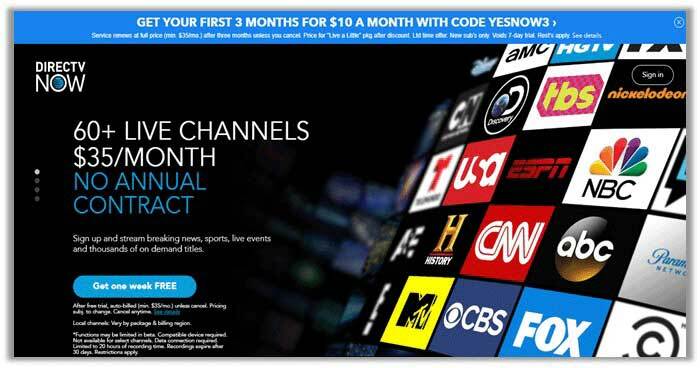 Over 100 Premium Sports Channels ( Sky Sports, BT Sport, Bein Sports, Fox Sports, NBCSN, TSN, ESPN, NFL Network, … ) only $15/month or $70/year with FREE TRIAL. You can watch all of the Premier League, LaLiga, SerieA, Bundesliga, Ligue1, UEFA Champions League, … matches. just search “BCE Premium TV” on Google you will find it easily. Um, the Merseyside derby, involves my team Everton, & never Manchester United, who are not from Liverpool…!!! Funnily enough they are based in Manchester, making Manchester City their derby rival…, totally whacked…!!? Hey Phil, yeah it definitely is totally whacked. Club based sports can definitely be confusing sometimes with the clubs and their locations in different sports. But this one never hit us, so thanks for pointing it out! How can I stream soccer games at any time in Costa Rica? I found one (full matches and shows) but it has ads. I don’t mind paying for a subscription. Hey Hector, great to see you commenting here. There are tons of way to watch EPL online from anywhere mentioned in the guide above. And if you are willing to pay for a subscription then its even better. So, if you are in Costa Rica, we would suggest that you sign up with BeIN sports by paying for their subscription plan, but first you need a VPN subscription to unblock the site in order to buy its plan and then be able to watch the matches on it online! We have tons of guides for Best VPN on our website and considering your needs, you should search for the blog named “best VPN for American Netflix” as it contains the best VPN services for unblocking streaming content in the US. and since BeIn sports and even Sky Sports are US based, the VPNs mentioned in the post will easily work towards unblocking these EPL streaming sites as well! Hope that answers your query! Thank you for reaching out!